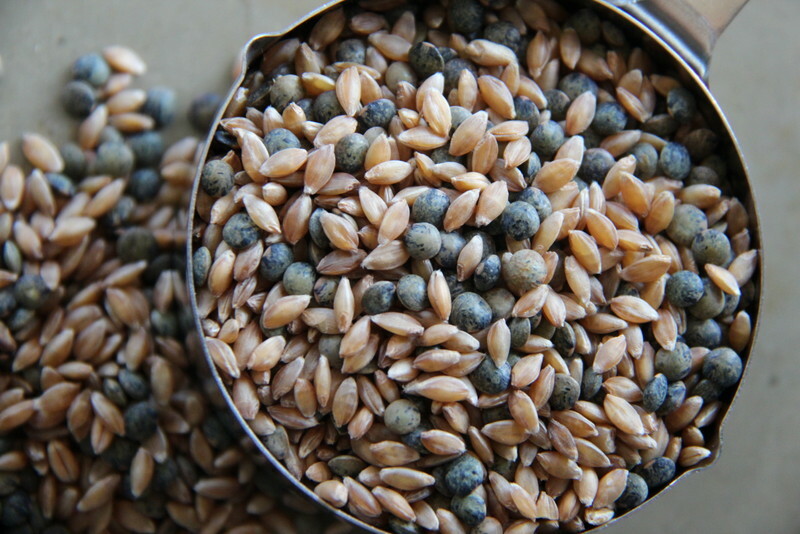 In saucepan add 1 1/2 cups of Bluebird Grain Farms’ Einka & French Lentil Blend to 3 cups of water. Bring to boil, cover, and simmer on low for 15 minutes. Turn heat off and allow to rest, covered, for 5 minutes. Drain any excess liquid and cool. Dice cucumber, red onion, and cilantro. 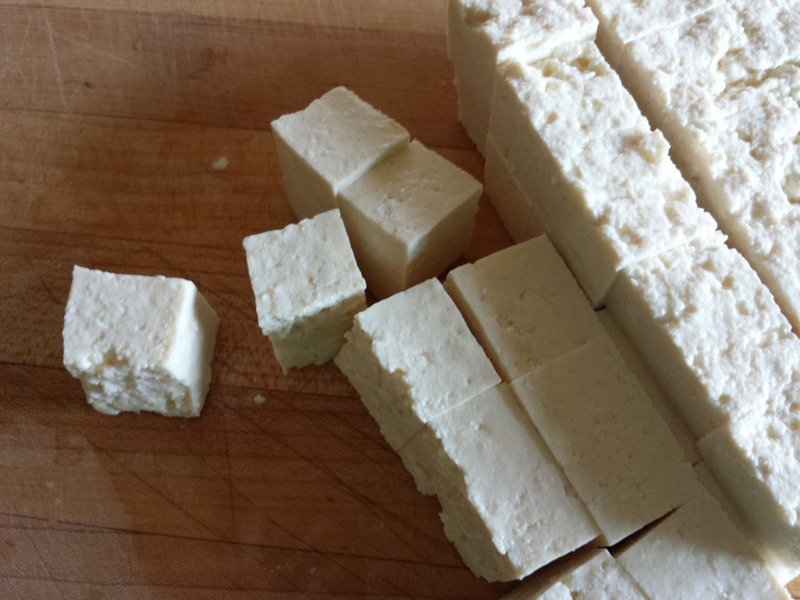 Cube tofu in about 1/2″ cubes. Zest lemon. 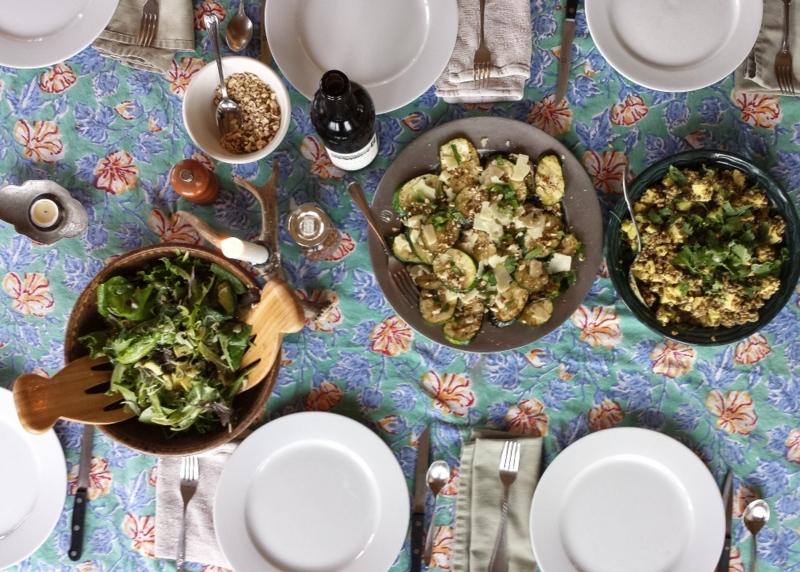 Set ingredients aside. Heat cast iron skillet over medium heat. 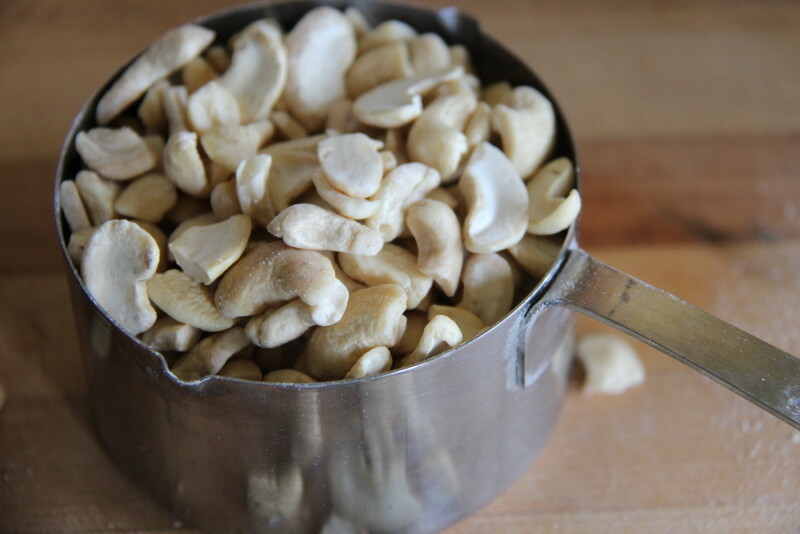 Toast cashews until evenly browned, constantly stirring to avoid nuts from burning (about 8 minutes). Cool, chop, and set aside. 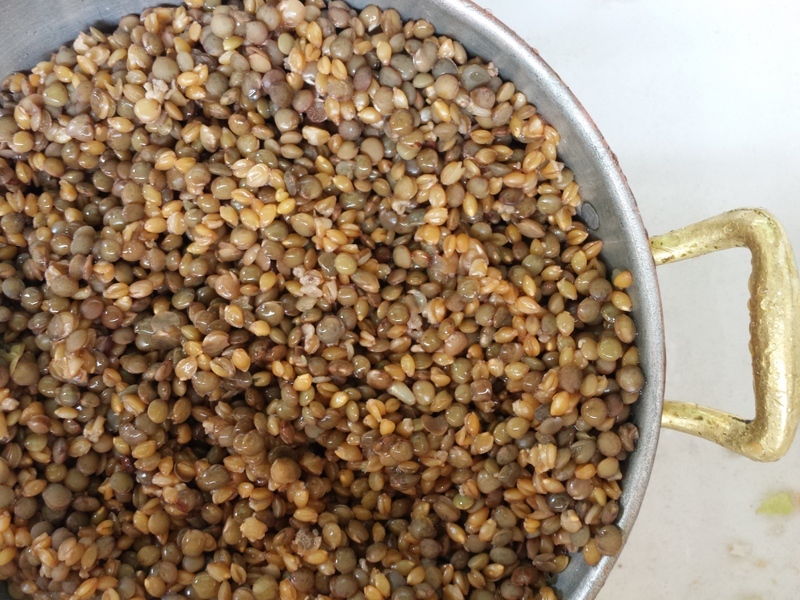 In small bowl combine yogurt, lemon juice, curry spice, garlic, and salt (to taste). Whisk vigorously until blended. 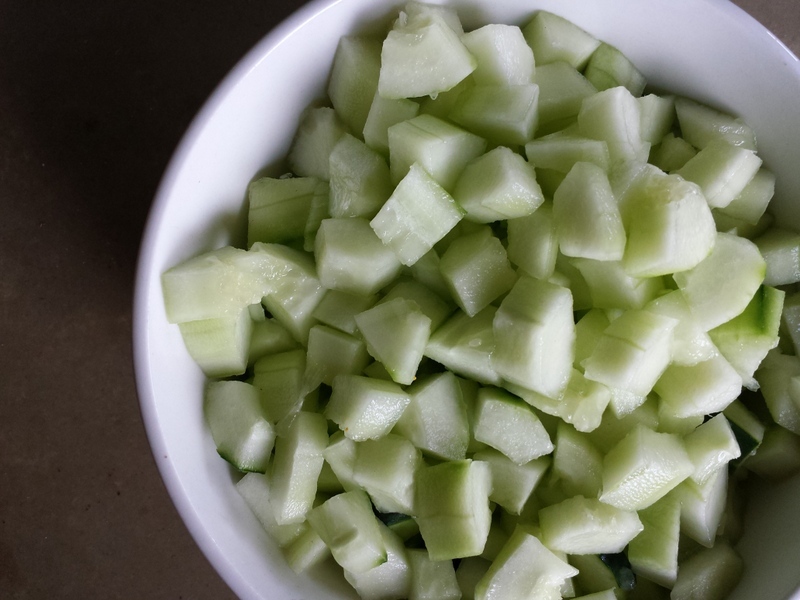 When Einka has cooled add cucumber, cilantro (reserving two tablespoons for garnish), onion, tofu and lemon zest. Carefully mix until incorporated. Stirring slowly, incorporate yogurt dressing, being careful not to break up cubed tofu. Refrigerate until chilled. 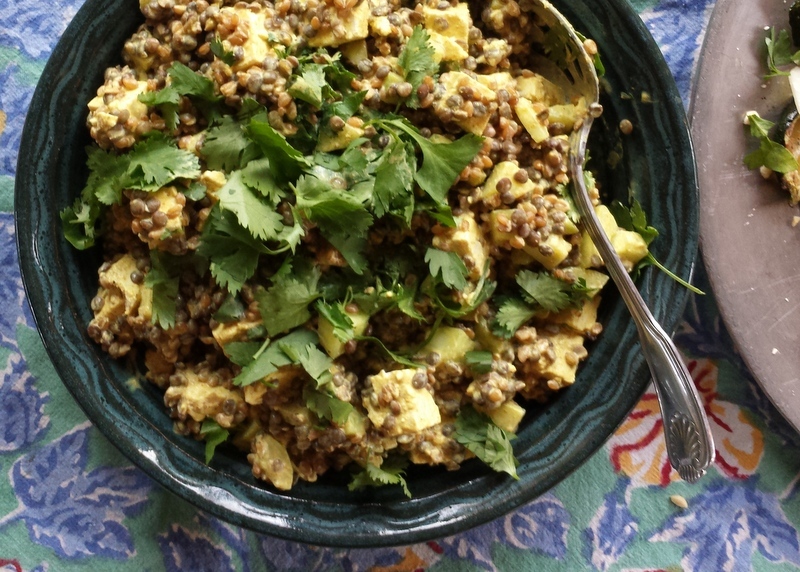 Top with remaining cilantro and roasted cashews. Serve.